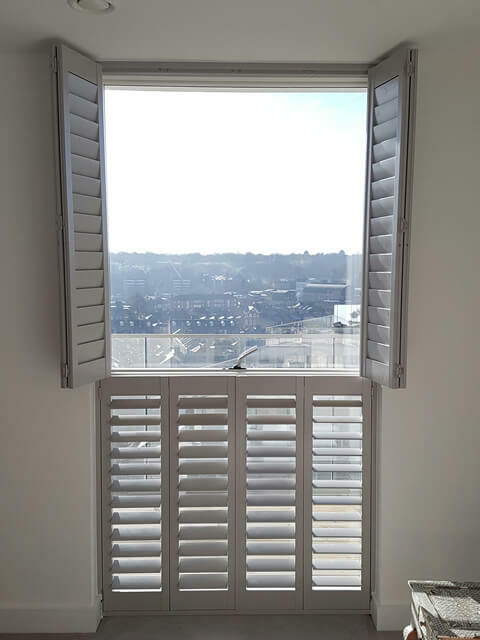 We were in Greenwich, South East London at this modern apartment to install some of our plantation shutters for this customer. The client had a full height window in the bedroom with unparalleled views out over the borough and was looking for the perfect mix of view and privacy. 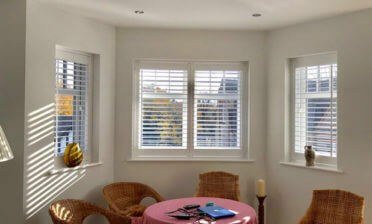 Our Tier on Tier Shutters are the perfect solution for windows like this. 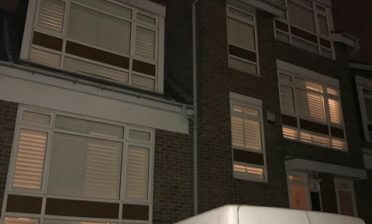 With a split in the middle the shutters can be opened and closed, as well as adjusted from the top and bottom independently. The split on these shutters was lined up perfect with the line of the window, allowing for the tops to be flung open at the perfect level for the views. Keeping the bottom closed allows for greater privacy, but can also be opened whenever needed! Each tier was created using 4 bi folding panels, which can be folded back neatly to the sides allowing for the great view and maximum light entry. 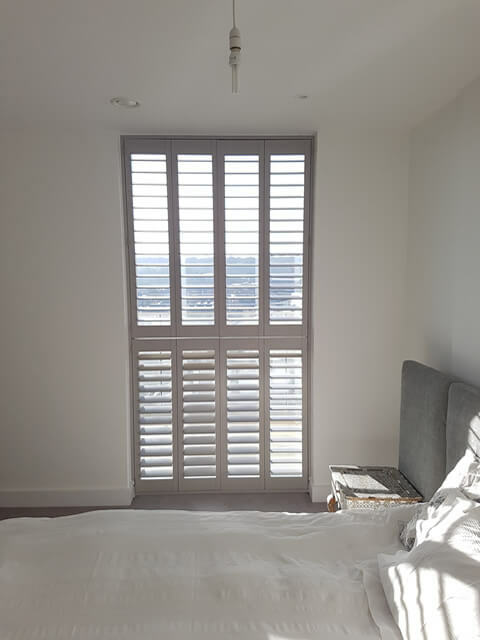 The shutter panels can also be adjusted using the louvres via touch, with a silent tilt rod system in place to create a clean and modern look to match the apartment. The shutters were manufactured from our Fiji Range and finished in a sea mist colour option which looks great against the wall and also matches in very nicely with the current carpet. The customer also opted for stainless steel hinges which again help create that modern feel they desired.